Well let’s start at the very beginning. In our modern and ever changing world we have embraced all that is new and ultimately better for us like Wheatgrass, Chai Seeds, Vitamin Water and Soy Milk – trendy to say “Ill just have a Soy Latte” but we don’t always understand why it’s a better choice. Let me shed some light on our good friend Soy Wax and tell some home truths about Paraffin. 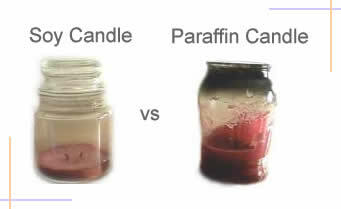 Most candles today are either made from Soy or Paraffin. 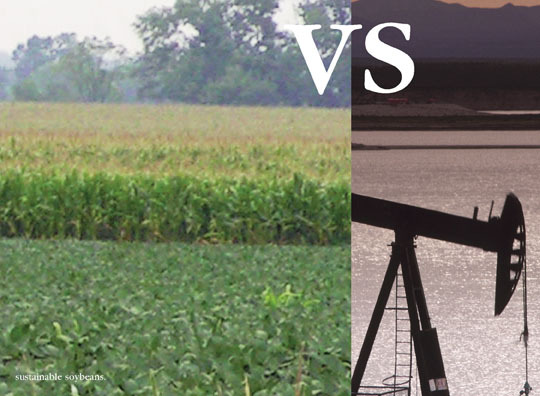 · Soy wax is derived from soy beans and is a natural and renewable resource; paraffin is however derived from petroleum (crude oil) – a limited resource and therefore not considered eco-friendly. · Since soy is a bi-product of a natural vegetable source we can be assured that we are not emitting harmful toxins when burning a soy candle, unlike paraffin which could potentially contain many harmful and hazardous toxins – just think about being at the petrol bowser and how strong the smell of petrol is – well your paraffin candle is a bi-product of the petrol making process. · The list goes on an on…. HOW DO I KNOW IF IT’S REALLY SOY? Sometimes companies can trick you into thinking a candle is 100% pure soy wax when in fact it contains both soy and paraffin. The easiest thing to remember is if it’s a free standing candle that isn’t in a container then it contains some type of other way like paraffin.. 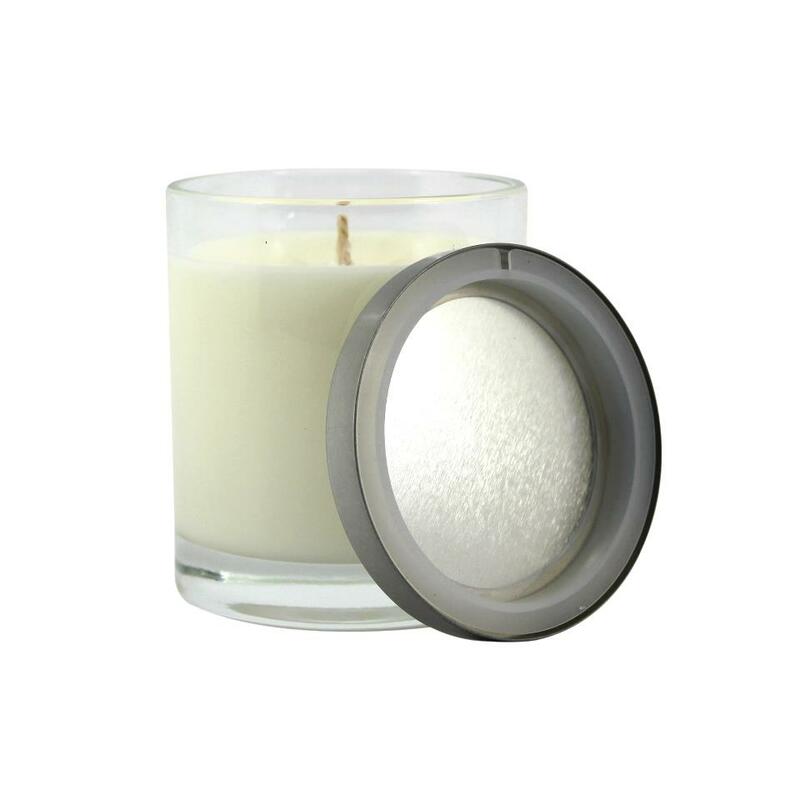 Pure soy candles are far too soft and need the support of a glass or metal container. Nash Eco candles are crafted using re-newable eco friendly soy wax and filled with divine fragrances. 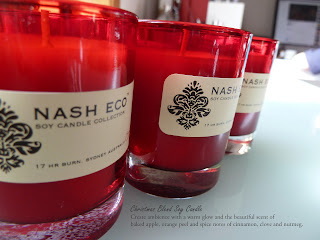 Poured by hand into stylish glassware, Nash Eco Candles look gorgeous. They have some amazing fragrances such as: Green Tea & Lemongrass – French Pear (one of Jaymi’s favourites) – Mocha Latte – Pink Sugar - Mint & Eucalyptus and they are soon to release a Fragrance free candle for those who are sensitive to smell but who still love the ambience of a candle. · Create a burn memory – when lighting your candle for the first time, allow the wax to melt all the way to the sides of the container. The first burn should last as long as it takes to reach all the way to the edge of the container. This will give you maximum fragrance and an even burn. · Trim the wick – its so important to take the time to snip the wick to about 6-8mm before you re-light your candle. Our candles contain pure cotton wicks which contains no lead. · If you do not trim the wick regularly, if the candle is in a draft or is left to burn too long you may get a ‘mushroom’ of carbon on the end of your wick. · We recommend you do not burn your candle for any more than 4 hours. · Burn your candle on a heat proof plate. · Do not blow your candle out… use a utensil to bend the wick into the melted wax to extinguish and then straighten the wick. It stops the burning smell that happens when you blow the candle out, it helps re-light the candle next time you burn it.